So June is the month of continued exercise. It is also the start of my 30 Day of Yoga that I talked about in my May blog! Today is the 7th day, and the completion of my first week! How am I getting on? Am I enjoying it? It is time to talk about yoga week one! Before starting my 30 days of yoga, I knew that my wrists were incredibly weak. With me starting yoga, it has made me realize just how weak they are. Oh my goodness the burn in them is real! The first day was incredible but hard on my wrists. Several planks and various poses that made me worry slightly about how they may affect my wrists. Thankfully as the week has progressed, my wrists have been slowly starting to feel better and stronger. That is a good thing! I have also enjoyed the fact that every day is different. Not a single day so far has felt. I have come to fully appreciate varying yoga techniques and I am extremely excited to learn more! Am I enjoying being able to connect to my body in ways I never thought possible? Is there enjoyment in learning how to focus on my breathing and learning to relax? Hell yeah there is. Over the past week I have grown to understand things about my body that I did not understand before. How when I am stressed, my shoulders will tense up and that just gently moving them helps, greatly. With being on the computer, I never realized how screwed up my back was until day 4 of Yoga with back stretches. These felt SO freaking good! 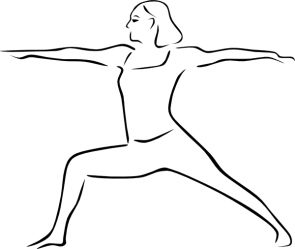 Another aspect of Yoga that I am truly enjoying is not so much the yoga, but the trainer. The 30 days of yoga comes from Yoga with Adriene. 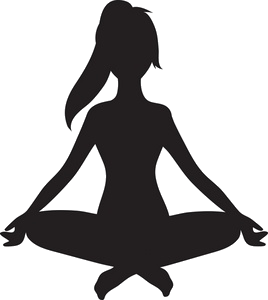 I believe that to really enjoy yoga, you need a trainer with an incredible meditative voice who helps you along the way. The way that Adriene presents herself each and every video allows me to relax and really get the most of the day. She has a lovely carefree attitude towards Yoga, which is inspiring. It’s one of the main highlights each day getting to watch her and enjoy spending some time together on the mat. Even though I am only one week into my 30 days of yoga, I am positive that by the time I finish, I will want to do more. I have wanted to start doing yoga for the longest time, and by doing it now I can see why. Being a flexible person, yoga gives me the opportunity to put that back into practice and enjoy the freedom of movement again. I also think that by the time the 30 days of yoga is up, I may even be more flexible! Have you ever done yoga? Or would you like to try it at some point? Remember, you can always join me with 30 days of yoga by going to the playlist here. Let me know if you decide to start! Previous Previous post: Wereldburgers – Out of this world! Next Next post: The Avondvierdaagse has begun!